To take full advantage of Microsoft’s new Windows 8 operating system, which integrates touchscreen functionality, a variety of PC manufacturers are offering new touch-enabled devices that are designed to run it. I broke the machines down into four categories: Traditional laptops with touch screens; laptops that convert into tablets by repositioning their screens; laptops that convert into tablets by detaching their screens; and slate-like tablets, including Microsoft’s much-anticipated Surface, which will challenge Apple’s iPad. 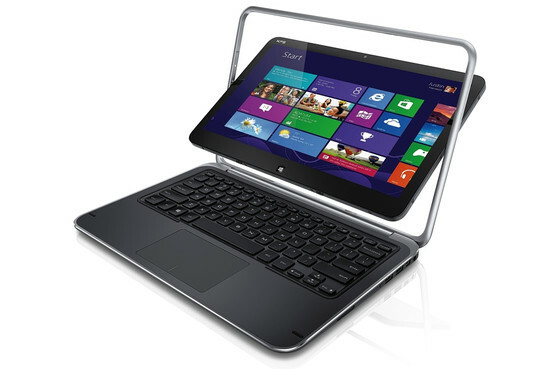 Dell’s XPS 12 Convertible Ultrabook has a screen that flips around, converting it from a laptop to a tablet. 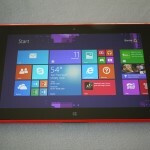 You’ll still be able to use Windows 8 without a touch-enabled device. 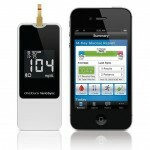 Touch-pad gestures and the traditional cursor will work, though not as easily across the entire operating system. The new environment of Windows 8’s Start-screen tiles are especially designed for touch. 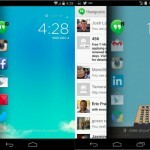 People can do things like swipe left from the right edge of a screen to display function icons, or swipe up from the bottom of a screen to display navigation icons. If you aren’t quite ready to make a dramatic change in your PC hardware, buying a laptop or desktop that has a touchscreen is a more conservative solution than a convertible laptop-tablet device or a slate. Though reaching across the keyboard to tap on a screen may feel unnatural after a lifetime of using a mouse and keyboard, people who use touchscreen smartphones and tablets may already be touching their computer screens out of habit. 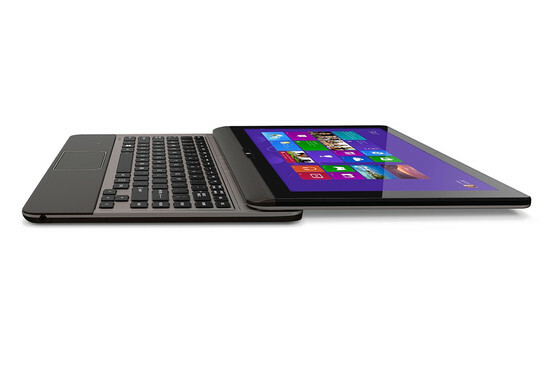 The keyboard of the Asus’ VivoTab RT detaches, turning the screen into a tablet. Acer will sell three categories of touch-capable laptops: the S7 starts at $1,200 and weighs as little as 2.29 pounds; the M5 series is exclusive to Best Buy and starts at $800; and the V5 series laptops start at $750 ($700 in Microsoft stores). Samsung will offer the Notebook Series 5 Ultra Touch line, which starts at $810. Asus’ VivoBook S400 line will cost $700 for a 14.1-inch screen, and Hewlett-Packard’s TouchSmart Ultrabook series will include the Spectre XT, a $1,400 device with a 15.6-inch screen. Pricing for Dell’s Inspiron 15z Ultrabook is still to be determined, while Toshiba’s Satellite P845t will start at $796 with a 14-inch screen. 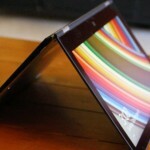 Sony will extend touch displays to its T and E Series Vaio models, which will start at $670 and $450, respectively. Can’t decide between the familiarity of a laptop and the flashy new feel of a Windows tablet? Instead of buying two devices or just settling for one, several manufacturers offer in-between options by way of hybrids, or convertibles. Each computer has its own way of transforming from laptop to tablet without disconnecting — though they all usually become relatively thick tablets compared with Apple’s iPad. Toshiba’s Satellite U925t Ultrabook Convertible flips all the way back, so the screen can slide over the keyboard. Take Dell’s XPS 12 Convertible Ultrabook, which starts at $1,200. This looks like a regular laptop, but from its opened clamshell position the touchscreen pops out of the screen frame, flipping around to act as the tablet’s touchscreen when the laptop is closed. The screen of Toshiba’s $1,150 Satellite U925t Ultrabook Convertible opens in a clamshell position and flips all the way back, so the keyboard and screen are both parallel. Then the screen slides over the top of the keyboard. Lenovo’s Yoga 13 and Yoga 11 models, $1,100 and $800, respectively, might scare people the first time they see them because their screens open, bend all the way back and keep going until the laptop lid is touching the bottom of the keyboard. Asus avoids flipping and sliding by offering two 11.6-inch touchscreens on its Taichi 21 (starting at $1,300): One screen where you expect to see a screen and the other on the laptop lid, activated when the laptop closes. People who don’t like the thick tablets that come from transformed convertible laptops may want to pull their laptop screens off altogether. 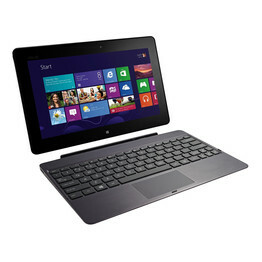 Many models offer touchscreens that completely detach for ultimate tablet portability. Samsung’s $1,200 ATIV Smart PC Pro 700T has optional mobile broadband. The tablet half of H-P’s Envy x2 (pricing not yet available) offers an 11.6-inch display while the 10.1-inch Iconia W510 sells as a standalone tablet for $500 or with a keyboard dock and extra battery for $750. Ready to toss out the laptop keyboard altogether? Asus’s $600 VivoTab RT, Lenovo’s ThinkPad Tablet 2 ($649) and Dell’s XPS 10 (pricing to be determined) offer some keyboardless options. But of course, Microsoft’s own Surface RT tablet, which will start at $499 for a 32 gigabyte version, is sure to get a lot of attention because it’s made by the company. Some of these devices are radical new designs, made to match Microsoft’s dramatic new Windows 8 operating system. Consumers have a lot of choices to make about how they use Windows in this new era of computing.